My friend, Agnes, made the most beautiful butterfly quilt, I just have to share it. Her hand work on each butterfly is so pretty. She used pretty 30's prints for the butterflies and prints that read "solid" for the background & sashing. I straight line quilted along her running stitches on each butterfly. and added simple swirly feathers in the sashing & borders. She made it for her bed and it looks so, so pretty! I love the simplicity of this quilt. The prints are perfect for this traditional pattern. A bit of spring and sunshine to get you through the cold Montana winters! The quilting is a beautiful enhancement to this quilt. You did a great job on a great quilt top. I love the butterflies! Thank you, Julie - it's such a pretty quilt! I love the black stitching around the butterflies - really makes the quilt striking. 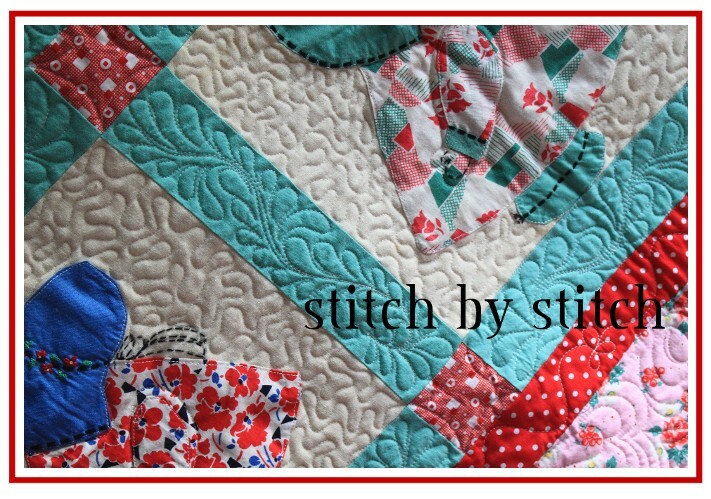 And, of course, your quilting is striking as well! Do you have snow? We do, and it hasn't melted yet. Bah, humbug. Agnes did a beautiful job with her embroidery work - so simple & so striking. Yes, we have snow, but it's melting! 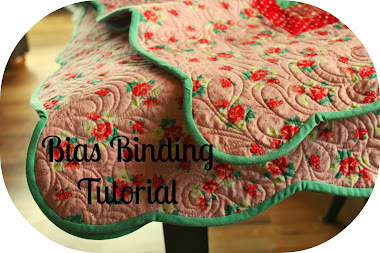 I love your quilting technique for the sashing. What was your path? Joy - thanks for the compliment! 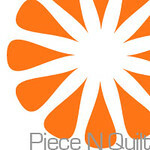 That's a quilting design that makes me happy - just start with the swirls and add feathers whenever you feel like it. It flows really easily & is so fun. Always softens a quilting area.